Coltrane is so respected that they created a CHURCH after him... how you like them apples? Though he was active before 1955, his prime years were between 1955 and 1967, during which time he reshaped modern jazz and influenced generations of other musicians. John Coltrane's recording rate was astonishingly prolific,the dude just never slowed down! The cat was possessed by the heavenly spirit of jazz and he considered himself the "messenger"! 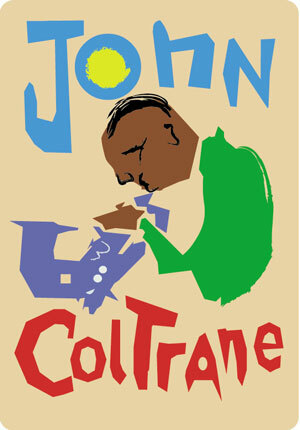 "Trane" recorded about fifty recordings as a leader in these twelve years, and appeared on many more led by other musicians. Throughout his career Coltrane's music took on an increasingly spiritual dimension that would color his legacy. Along with tenor saxophonists Coleman Hawkins, Lester Young and Sonny Rollins, Coltrane fundamentally altered expectations for the instrument. 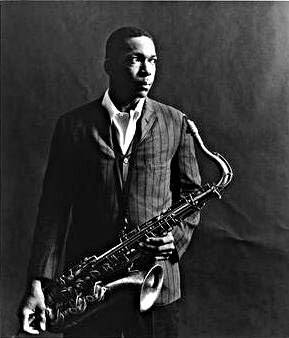 Coltrane brought a spiritual dimension to Jazz and all the jazz cats new he was channeling something from "up there". Do yourself a favor and listen to Coltrane's "A Love Supreme". You will feel happy... dig?